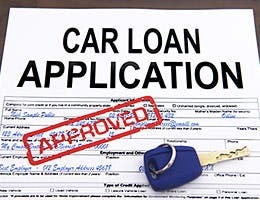 Find the best auto loans at Bankrate.com. Having your eye on a specific car is no help if you can’t afford it. 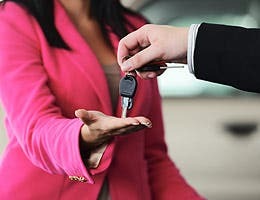 Allocating no more than 20 percent of your monthly household income for all the cars in your household is a good rule of thumb for car buying. This figure should include not only the monthly car loan payment, but all the costs to operate them, including gasoline costs and car insurance. 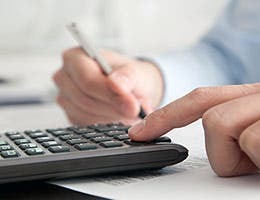 Use Bankrate’s home budget calculator to help you determine your monthly bills and necessary savings. Used cars have been in high demand for several years now, making prices higher overall, while there is a wider array than ever of inexpensive new cars. As a result, you may want to consider new and used cars that fit within your budget. There are trade-offs with each. 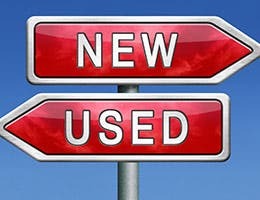 Buying used means you can get a more expensive car for your money, but the trade-offs include not knowing the car’s history, a shorter warranty period during your ownership and higher interest rates. Buying a new car means you’ll get less car features for the same money, but you get the benefit of the full warranty as well as often free maintenance and roadside assistance, not to mention lower interest rates. 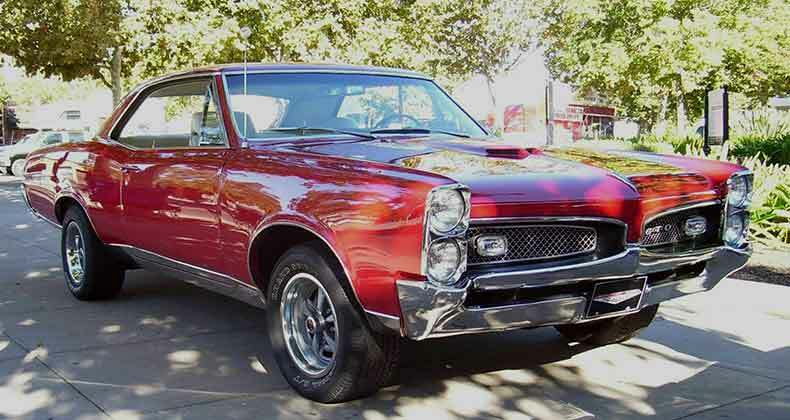 Take that list of cars you’ve noticed while driving around town or at your local auto show and start researching them online. Visit the automaker websites and independent automotive information sites to assess the car’s features that are important to you and get an idea of inventory available in your area. Don’t forget to note the manufacturers’ suggested retail prices and invoice prices when car buying. Choose cars that are at least 5 percent less than your monthly budget to give yourself some room to cover costs such as fuel, insurance, repairs and maintenance. Create a traditional paper or electronic file for your research, but don’t rush off to the dealership for a test drive yet. Once you have a handful of cars in mind, see if you can afford them by estimating the ownership costs for each. An independent auto information website like Edmunds.com will help you with cost of ownership data for your area, but remember that these numbers will vary depending on your personal situation. Use these numbers to get the best calculation, but do your own calculation for gas based on the number of miles you drive annually and for insurance by calling your car insurance agent to get a quote for your household. Be prepared to tell the agent the exact car, including model, engine and sometimes certain options to get an accurate quote. 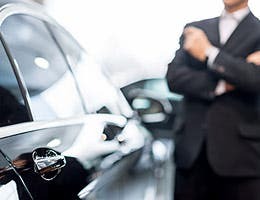 While you may be drawn to a certain car or brand because of an ad for a low interest rate, it’s of no use unless you qualify, and only about 10 percent of car buyers qualify for the zero-percent and low-interest-rate deals automakers offer. Even then, you may be better off financially by taking the cash rebate offered and getting financing elsewhere. Don’t visit a dealership until you’ve researched the best interest rate you can get. 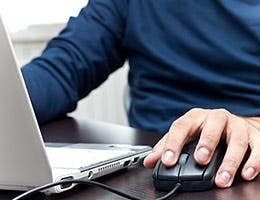 Use Bankrate’s rate search tool to see current interest rates and also check with local lenders, including credit unions, which are 1 percent to 2 percent lower on average than conventional banks. There are now many community credit unions open to anyone living in their area, eliminating the need to work at a certain company or in a specific industry to join. You should consider these institutions when car buying. Use CULookup.com to find a credit union you can join. Once you’ve determined your best interest rate, use the car rebate vs. low-interest calculator to determine which one is the better deal. Don’t let your eagerness to test drive the cars that interest you find you at the dealership too soon. 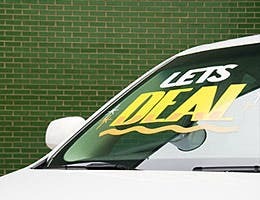 Dealers don’t just want to sell you a car. They want to get you to sign a car loan, too. 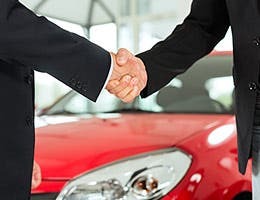 Dealers typically receive a set fee or a commission on the car loans that they coordinate, regardless of whether that loan is from the manufacturer or a local lender they work with. Also, use caution if that offer seems too good to be true based on your credit or other loan approvals you’ve received. 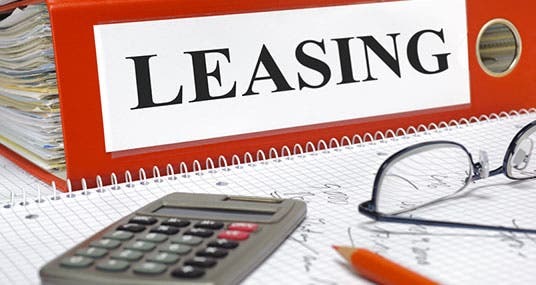 Dealers will sometimes indicate they can get you a great rate to get you to sign a contract, only to gloss over the section that says the car loan rate is contingent on the loan approval. Your car research should have included the invoice price for new cars or wholesale price for used cars, as well as the manufacturer’s suggested retail price for new cars or the dealer’s asking price for used cars. While invoice pricing on third-party information sites isn’t 100 percent accurate, it is a good indicator of what the dealer paid for the car. And, it’s the best place to start your negotiation. Aim to reach an agreement on the sale price that is close to that number before any applicable discounts are applied. But, keep in mind that the dealer needs to make at least a few hundred dollars profit to cover the costs of running the dealership. You’ve probably seen automakers touting “cash-back” deals in advertisements, and these incentives should be factored into the price you pay. In addition, many automakers also offer discounts based on the person that is buying the car as well, such as students, members of the military and even members of certain credit unions. These discounts can be combined with each other as well as with the cash-back rebates on the model. In addition, manufacturers sometimes offer dealers $1,000 or more as an incentive to sell cars that make up an unusually larger inventory. Use a vehicle information source like Kelley Blue Book or Edmunds.com to see what incentives are being offered to dealers on the models that you are considering and then ask the dealer to share that cash incentive with you by further discounting the price. When you have done your research and are ready to visit dealerships, call and ask to make an appointment for a test drive with the Internet or fleet manager. That way, if you decide you are ready to buy, you will be working with someone who is less likely to strong-arm you into a deal. When you do start to discuss price, keep in mind all the discounts you researched and forget about trading in your car as part of the deal for the moment. It’s easier to get the best price for each if you negotiate the sale price of your new car and the trade-in value of your old car separately. Make sure you do your research about your current car’s value online in advance so you know whether you are being offered a fair price. 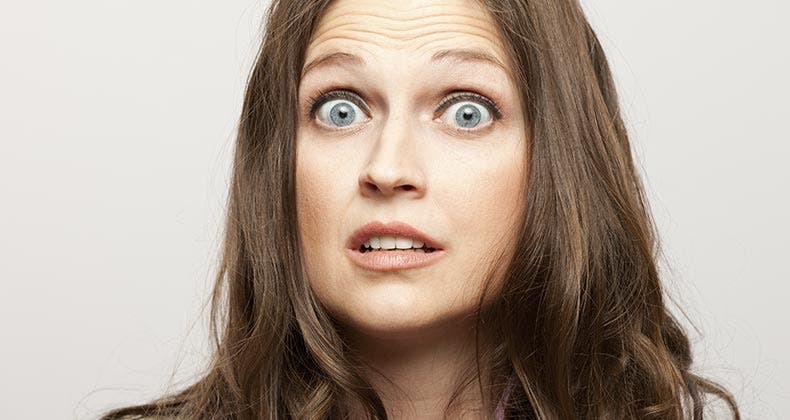 Once you’ve reached an agreement, be prepared to say no to all the extras you may be offered. Instead, do the research at home for whatever it is that interests you and contact the dealership at a later date to negotiate a fair price for that item. 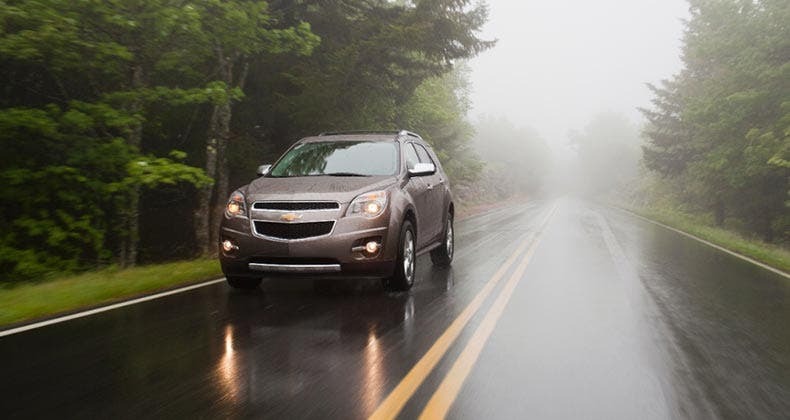 To get the most bang for your buck, you’ll want to keep your car for five years or longer, so take a thorough test drive to make sure you’ll be happy for the long term. Take extra time with the car parked to adjust the seats and experiment with the controls and the car’s other features. Make sure all of your typical passengers and cargo fit well and the passengers are comfortable — even if that means spending some time installing a child safety seat or putting your golf clubs in the trunk while you’re in the dealer’s lot. Finally, think about your life five years from now and try to imagine if this car will suit your needs then in terms of people and cargo. Use a backup camera to see behind my car? Pay for unneeded car tow?